October 2016 – Welcome again to HDR News! Most likely you’ve got a ton of beautiful images from your summer shooting excursions and quite a few family photos as well. In this issue we’ll point you to some great info on making sure you never lose those price- less photos. We’ll also discover the back story to one of the great portraits of the last century and we’ll look at some great new photography as well. After Labor Day is the time to dig into processing your great images made during your summer shooting. We hope you find a few gems on your memory cards and work them up in HDR Expose, Express or 32 Float. Enter The 2016 HDR Contest – It’s Fun, It’s Free! Autumn is truly the golden season. The sun is lower in the sky, casting sculpting shadows across your scene. It’s the perfect time for shooting bracketed exposures and creating big, open photographs. Right now is also the time to submit those photos in the 2016 Pinnacle HDR Contest and have a chance to win the $500 grand prize. The contest is free to enter. Archiving your work in 2016 is not like the old days when shooters had file cabinets full of negatives, contact sheets and prints. Finding a location secure from fire or water was the primary concern. Despite all the advantages of digital photography a photog- rapher’s collection is more at-risk than it’s ever been and the reason is: hard drives. All it takes is one electrical surge to fry your working hard drive and decades of work and family memories could be gone forever. It takes a good strategy, multiple hard drives, backup software and even a cloud service to adequately protect your prized files. 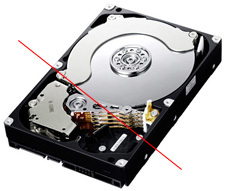 The good news is you can pick up a great 2TB hard drive for under $100. Great backup software is even less expensive and cloud backup services are reasonable. So, there’s no excuse for not having a good backup system in place. Here are a few good sources of information to get you going. 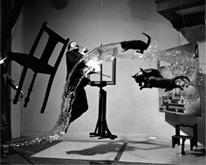 One of the most famous and intriguing portraits of an artist is Phillipe Halsman’s photo of Salvador Dali caught in mid-air together with cats chasing flowing water and even a chair. Halsman and Dali were good friends and their collaboration for the photo shows how imagination and patience can create magic. The Camargue horse is an ancient breed indigenous to the Camargue area in southern France. They are feral creatues who live in the marshes. Drew Doggett traveled more than 6,000 miles to meet them in person. His Book Band of Rebels: White Horses of Camague is the result. Camagues are all white so it takes good photographic technique to do them justice. Doggett did them justice. Check it out.